This is the site where all paddlers including kayakers, canoeists, and rafters can find out what the river levels are in Scotland (including dam release information). 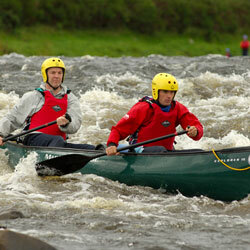 Kayaking conditions are calculated using river level guage data collected at regular intervals from SEPA. If you didn’t know about it before then I hope this helps. Disclaimer: Please use this service as a tool to help you get to the river at the right water level but remember there is no substitute for personal risk assessment and carefully checking the water conditions before going afloat. 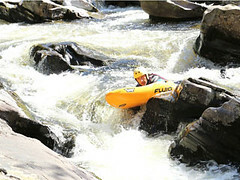 The decision on whether to paddle or not, and any consequences arising from that decision remain yours and yours alone. Previous postHike up, wheels down! Hi there Neil, many thanks for your comments. Would you be interested in writing a top tips article for our blog with a slant towards the kinds of sports that we do. 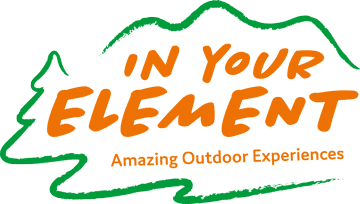 Thinks like gorge swimming, canoeing or sea kayaking and climbing & abseiling to name a few: generally involves getting wet and or muddy, so what do budding action photographers need to think about when trying to capture the moment? Let me know what you think.You can also follow us on Facebook and on Twitter @bootsnpaddles.